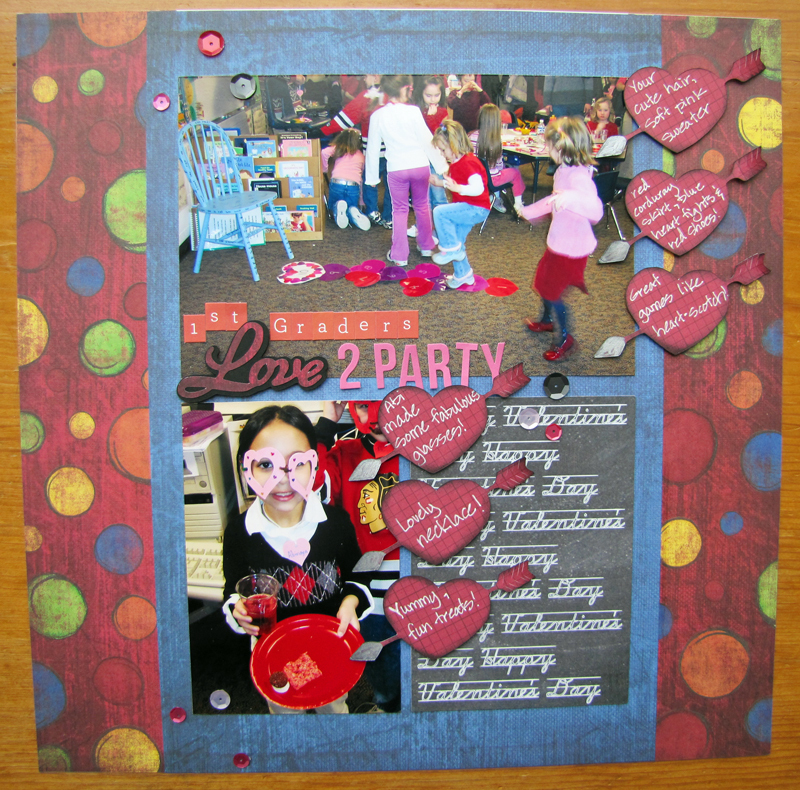 I thought it’d be fun to play around with the images a little, so I used the word “love” in my title and used the hearts with the arrows to point out fun elements in the photos! What fun this was to make! I inked the edges of the hearts after I wrote the journaling and accented the arrow tips with Smooch Accent Ink. I also cut into the feather ends to give a bit more detail. I love how the hearts turned out! I created the chalkboard element with a piece of patterned paper that had a chalkboard print on it, my Silhouette Cameo, the adjustable pen holder, Sakura Gelly Roll White pen and the School Script Dashed font! I think it really goes well with the theme and the colors on the layout. I don’t know about you, but after all the work that goes into planning the parties for school, it’s definitely something to celebrate and remember! 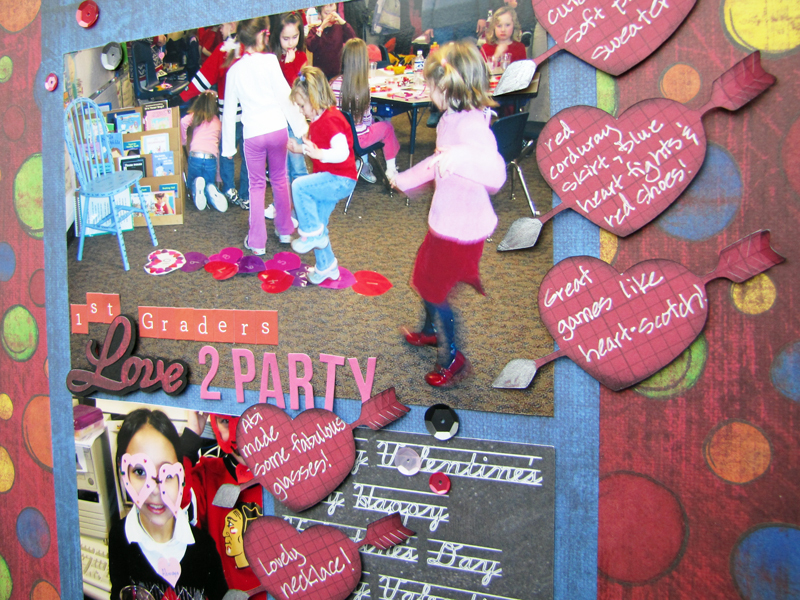 The heart glasses was the craft project that I set up for the kids: 50 hearts traced onto foam and cut out. Truly a labor of LOVE! 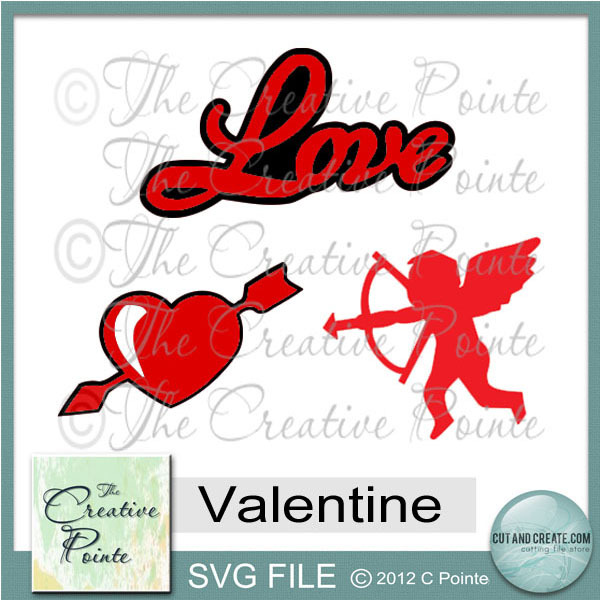 I sure hope you’ll scrap or create something with SVG files for Valentine’s Day that you’ll share over at The Creative Cutting Challenge! 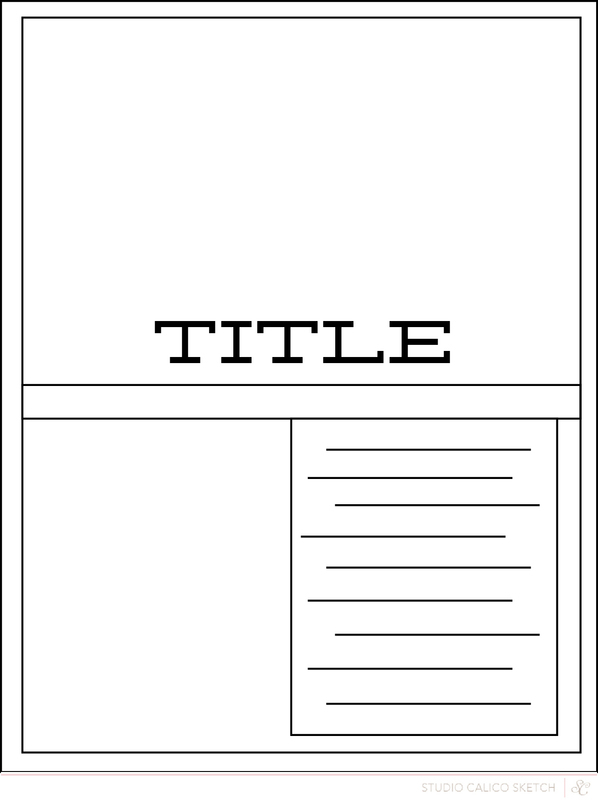 I can’t wait to see your project! Thanks so much for stopping by! I appreciate you taking a moment to let me know what you hope to create for Valentine’s Day in the comments below! Have a fabulous day! Other materials used: Patterned Paper from Creative Memories and Simple Stories; Letter stickers from Simple Stories; Sequins from Lawn Fawn and Whimsical Twist; Adhesive from Glue Dots, Imaginesce, Xyron and Zig.